I worked at Ralph Appelbaum Associates in New York for a few years and twice. Consequently, I got to dig into museum projects of different sorts, in different parts of the world. It was a very big learning experience for me, as I had not worked in exhibition design at all prior to joining RAA. Museums and large-scale exhibition project can take years to complete, and it is very rare to work on one from start to finish as a 2D Designer or Art Director. The Al Shaheed Park Museums project was one I was fortunate to be on from just after the very start and saw to completion. I worked with an amazing team I’ll always have a soft spot for and learned a lot with. I created custom Arabic typography for each of the museums. I brushed up on my translation skills. And, I got to know a whole lot more about Kuwait’s flora and fauna, ecosystems, wars and battles, history, and culture. 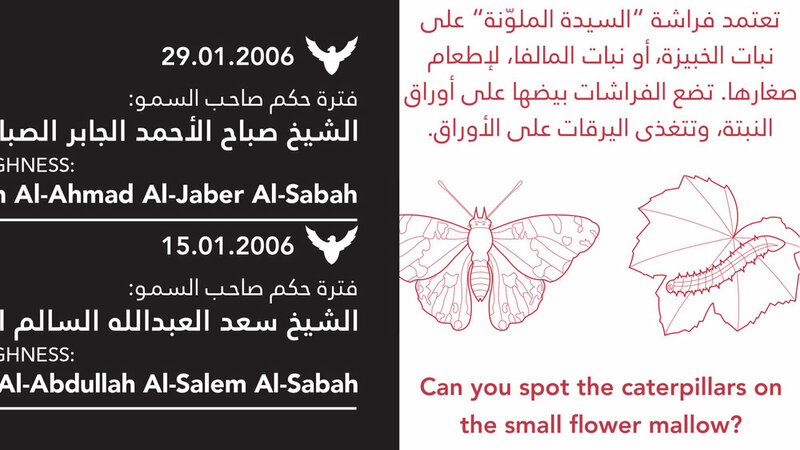 The Al Shaheed Park Museums are on either end of a park that is part of a green belt project that runs through the oldest part of Kuwait city. The Memorial Museum, which we named Mathaf Al Thikra in Arabic, tells the story of Kuwait through the history of the battles Kuwaiti people endured because of its strategic location in the Gulf. It celebrates and honors the Kuwaitis that sacrificed for their country. The Habitat Museum, which we named Mathaf Al Mawten in Arabic, explores Kuwait’s varying natural landscapes, ecosystems, animals, birds, and plants. It encourages environmental stewardship through education and awareness. Both museums are filled with immersive media, sculptural icons, and life-size recreations. A side-by-side comparison of both, with Memorial on the left and Habitat on the right. 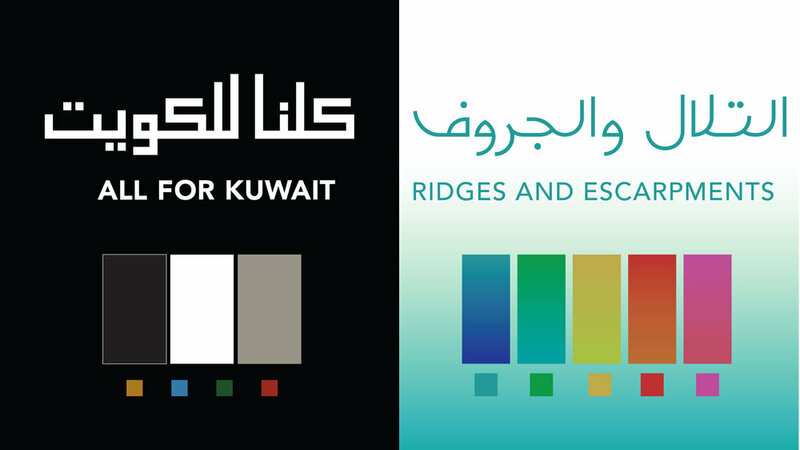 Graphically, the challenge was to come up with an aesthetic and typographic system that worked well in both museums, balanced both languages (Arabic and English), and also gave each its own unique characteristics individual to its topic. Memorial is mainly black and white and more structured. Habitat is very colorful and more fluid in layout. A custom titling typeface was drawn in Arabic for each of the museums. The scope of design work also included media and UI styling and storyboarding, and the creation of custom illustrations, icons, and maps. Being from the Middle East and fluent in the primary language of the museums defined my role as a cultural interpreter on this project and at RAA moving forward.